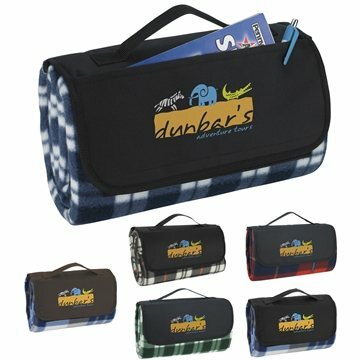 This blanket is perfect for all outdoor events! Use it as a picnic blanket or just to sit on. Roll-up and close with velcro closure. Great give away item...My clients love them!! The blankets are good quality and shipped quickly. Good for the beach in the summer and as stadium blankets in the fall. My clients love them! Very satisfied with delivery time and receiving email invoice in prompt time. The imprint came out nice. This is an enjoyable item to offer to employees. Appreciate your excellent assistance. It had been prepared quickly and effectively and shipped as guaranteed. Public loved it! We had a game timing how fast the participants could put it together. It was our laboratory version of the Rubik's cube!